Did you survive? I will admit, I WAS busy. The office had not slowed and the store was hopping. There were last minute gifts to be bought and menus to be planned. But guess what? Christmas came and it is now gone but the JOY I felt this Christmas will make me smile all year. I am a very lucky girl. I was very excited to hear we were hosting Trevor's family for Christmas dinner this year. I knew it was time to FINALLY use my Grandma's china that she passed on to me a few years ago. She was looking to downsize and since I am the oldest granddaughter, I had the privilege of inheriting her collection. I did not register for china when we got married and I had never hosted with such pretty plates. I was actually worried about them! Lesson 1 - Life is too short. Use the good china. I knew the china needed some subtle, natural accents and the seeded eucalyptus, twine (nooooo....really!?) and kraft tag were the perfect addition. I told my Grandma her china would be used at my Christmas dinner and her smile spoke volumes. I had to work with my little deer dies from Impression Obsession to add to my glam/woodland settings. 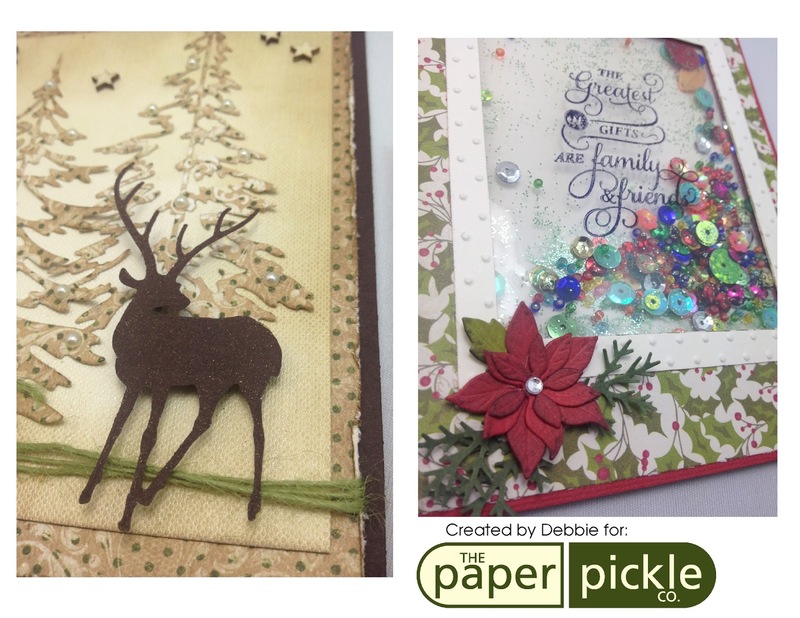 I used all three deer dies (male, female and baby) depending on person, gold washi tape and some twine (I know. I know.)♥. The place settings received rave reviews and even received a little shout out photo on Facebook from my 20-something niece so I knew I "did good". Lesson 3 - The little things DO matter. Of course the holidays at my house are not all fancy, elegant and perfectly planned. They are fun, goofy and constantly moving and may not always go as planned. These two were hamming it up in front of the tree before the big day. I told people they were practically bouncy off the walls with excitement. This photo makes me smile and will forever remind me of Christmas 2015. Each with their own personality but both very loving and caring kids. Who could ask for more? Lesson 4 - Count your blessings each and EVERY day. Store Closed until Wednesday January 6th so get in if you need anything! Just in case you need a few finishing touches for your Christmas festivities, we will be open the following hours (click the photo above). 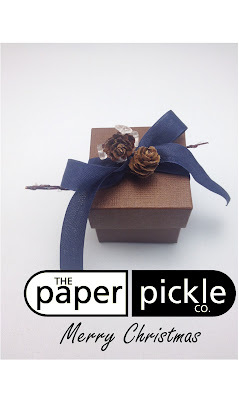 From The Paper Pickle and Homebaked Kitchen, wishing you all the most beautiful and peaceful holiday season. Enjoy each and every moment and all those little details. This is your life. Be in the moment. Marvel in the ordinary (AND the extraordinary!). Celebrate life. A beautiful gift for the coffee lover on your list. 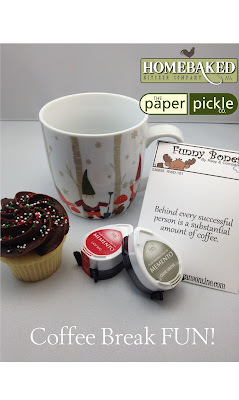 A whimsical mug, cupcake and fun stamp and ink! I don't know about you, but this gift is so cheery it is sure to get the creative juices flowing. Unique gift ideas? Yes, please! It is so nice to give gifts that cannot be found anywhere else in the area. Check out these adorable items for young children. Priced at $18.50 each, they are the perfect fun and educational gift for that cool kid on your list! 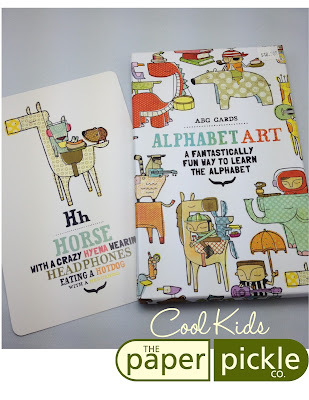 Learning the alphabet and building memory skills has never been so appealing. Look for other unique gift giving ideas on the blog everyday this week! Life is all about the details. This is a phrase that I use quite often. It can mean many different things including slowing down to stop and smell the roses or doing small things to bring joy to your every day. If we could only slow down and stop rushing through our to-do list, we would realize that these small details and gestures speak volumes. Have a look at the little box above. A small 3x3 cube box tied with seam binding ribbon and a small winter sprig of pine cones. With one glance, you can see that this gift was wrapped with love. Time was taken to think about the recipient and the box wrapped to make the person smile and feel loved. THIS is what gift giving is about. It is not just about the item purchased but the time and care that went into decisions and wrapping. Don't forget that many of the beautiful supplies you have in your craft room can be used to dress your presents. Bands of decorative scrapbooking papers, washi tape, ribbons and more can be used to add life to simple boxes like the ones below. 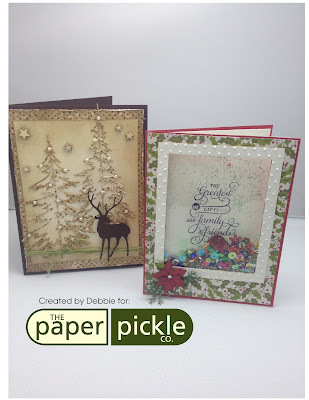 Why not use some of your chipboard pieces or stickers? And don't worry if the items are coming from collections that not necessarily holiday. Stars, woodland animals and vintage images make amazing accents on any present. These boxes are ready for a little love! Go ahead! Have a little fun this Christmas season. I dare you. Have a look at our make and take above. 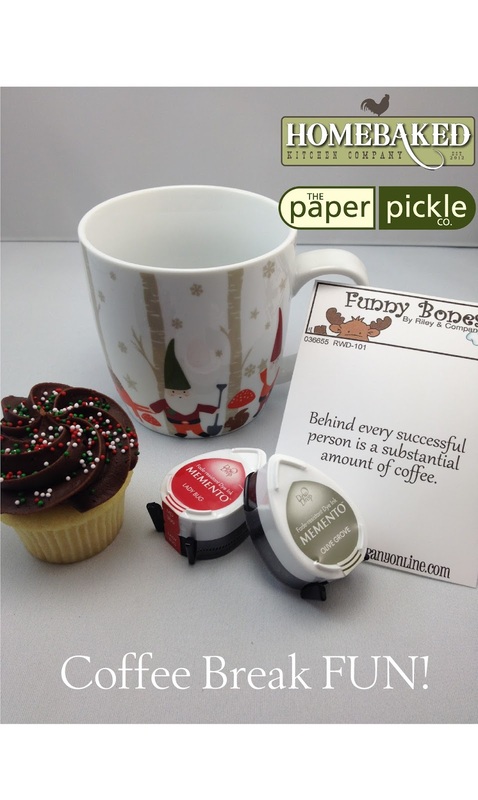 We created a 3x3 tag perfect for your gifts this year. For those of you interested, I cut white card stock 3x3 and the patterned paper 2.75x2.75". 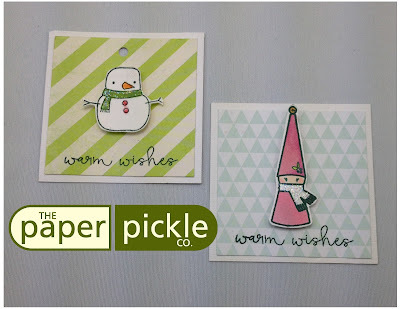 We then stamped the snowman or elf girl in dark green ink and then used either water colour pencils or copic markers to add a little colour. We then cut out the image and popped it up with a pop dot and added a little glitter and an adorable sentiment. Ta da! Easy. Peasey. Perfect for this time of the year! Here are the stamp sets we used. Both are in stock now. So, just in case you were wondering, the apple cider received rave reviews. Ha! Here is the recipe in case any of you are wanting to try this at home. 64 oz. apple cider (I used PC fresh pressed apple cider....do not buy the mulled!). Let simmer for 3-4 hours. Hope all is well and you are feeling the Christmas spirit (even with these mild temperatures!). Now don't hate me for doing this. Honestly EVERY TIME I have a party or special event, I have this need to try a new recipe. If you follow Martha Stewart, she says NEVER experiment with new recipes the day of your party. Well I am known to be original and do my own thing and I ALWAYS try new things for my parties (sorry Martha!). I know you have always raved about my apple cider but this year I am changing it up! Found a delicious sounding vanilla chai apple cider recipe in a magazine my friend Lin gave me and I HAD to try it. Stop in and try a cup! Jen also had me printing signs for her LOVELY products. Truly guys, her Christmas offering is even more incredible than last years. She is quite the girl! We would be thrilled if you stop in for our Christmas Open House TODAY from 10-5! 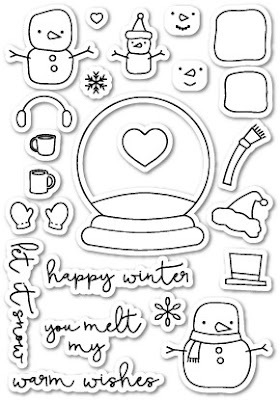 There will be a little make and take using some of our new and adorable polymer stamps, creative new samples in store including a chicken wire frame wall hanging, mason jar creations and more. We also have our annual gift card promo going on - Spend $100 before tax on Paper Pickle product and receive a $25 gift card! Did I mention we had a big shipment arrive this week including Memorybox, Sizzix and IO dies?!? 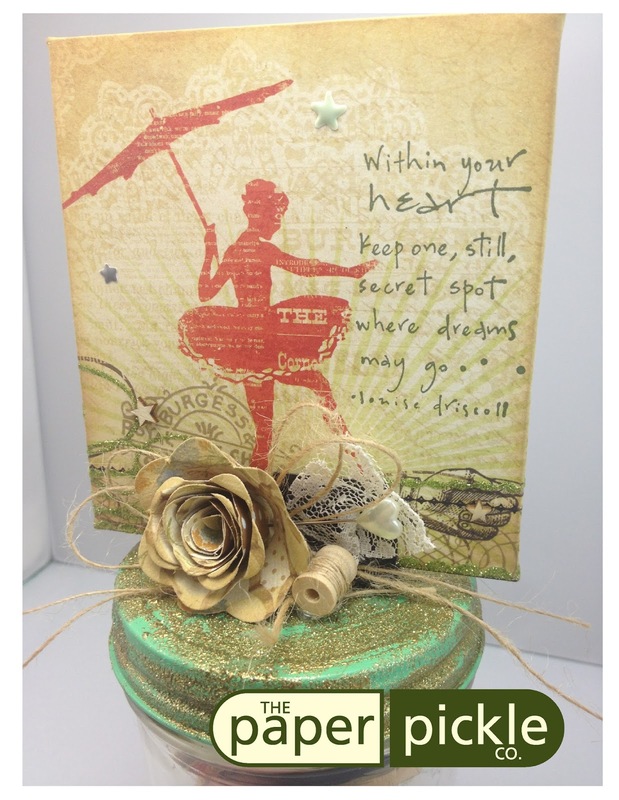 And yes, the Tim Holtz Holiday Script is in again. Time to get ready for the party! Hope to see you later today!! Oh my gosh you guys. This class schedule is long overdue but let's see if we can't squeeze a few more in before the end of 2015! You will create two unique Christmas cards in this class. Debbie has designed a gorgeous rustic card using dies from Impression Obsession and Sizzix/Tim Holtz. 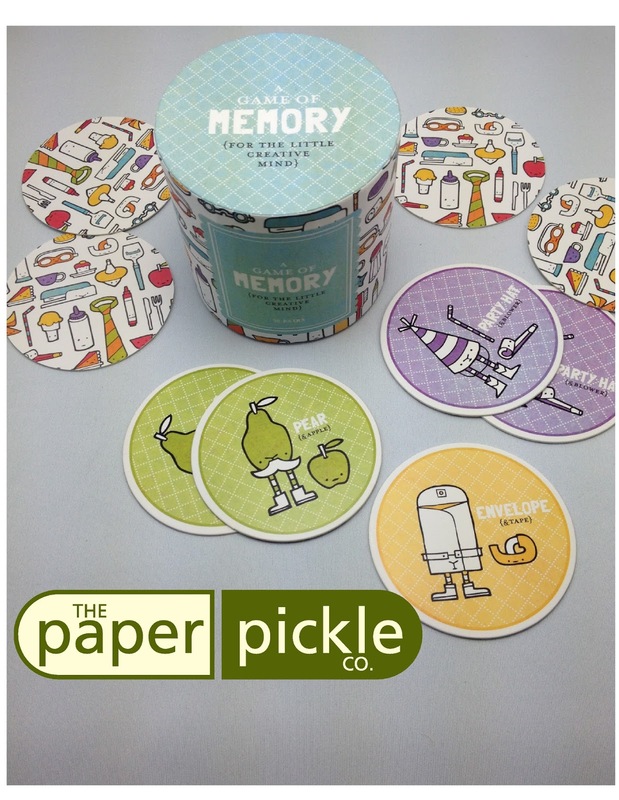 And you will also have fun creating a shaker card! These are all the rage right now and you cannot help but smile when you shake this card. Great for all levels. It's funny how projects come together for me. This project was originally going to be a journal but my album cover was too thick to fit in my Zutter binding machine. I was about to rip the overs apart when I spotted a mason jar topper that I had altered...then voila. The project was born! 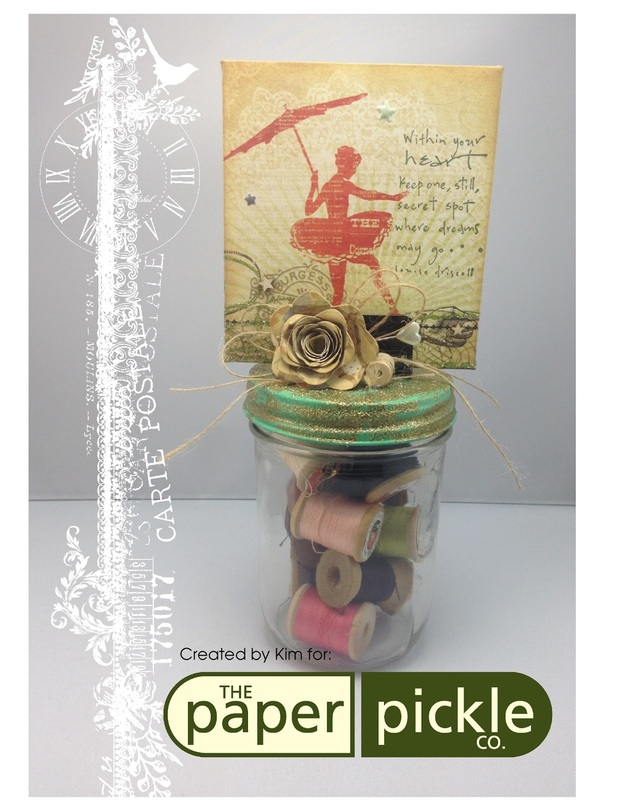 We will use a wide mouth pint mason jar and the ever FUN show toppers. 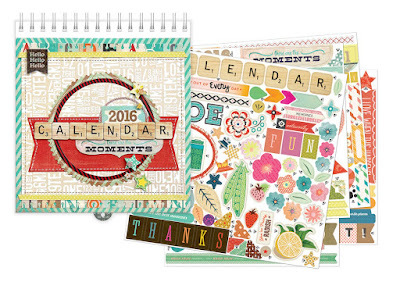 We will also work with various embellishments, stamps, iced enamels and more. This is a beautiful gift to store various items in like my vintage spools. Or here's another cool idea.....This past summer, my children and the babysitter decorated mason jars. They then filled these jar with little notes of things they wanted to remember about the summer and wishes they had for the new school year. 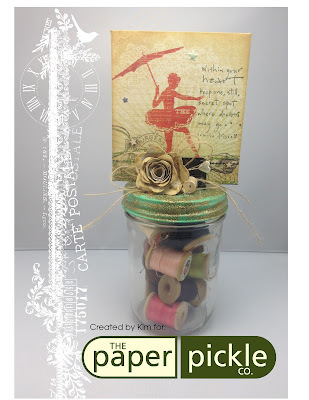 I could see this jar being the perfect little holder of secret dreams and would go perfectly with the stamp we used on the topper. Another nice gift idea....what do you think? I'm all about slowing down and making the holidays more memorable with gifts from the heart. Now I know this is getting pretty close to Christmas and I know it is late in the day but I thought this could be a fun stress reliever for us! It will pretty much be a self taught class (as BG has done an incredible job with this kit as usual) but I will be here to lead the class AND work on MY calendar! I don't know if you are like me, but sometimes I have good intentions and if I do not set aside a set time, things just don't get done. Whether this is a project for you or a gift for that hard to buy for person, I guarantee it will be a very fun night for you to enjoy doing what you love! If you want to get an idea of the page layouts so you can find photos to match, check out this video from YouTube or come into the store to view the kit. 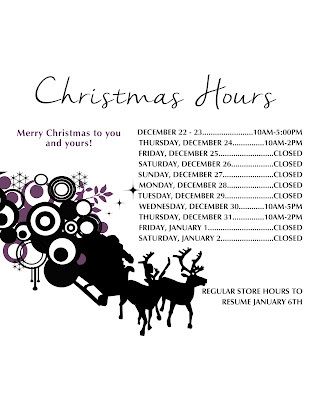 Please call the store (519.351.5220) or stop in during store hours to register! PS....Anyone involved in the tag swap can stop in anytime during store hours to pick up their tags (FYI: you girls are AMAZING! I was blown away with your ideas and creations). 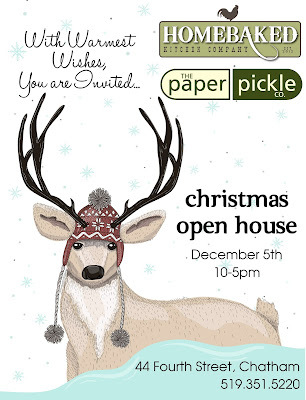 With warm winter wishes, we invite you to The Paper Pickle and Homebaked Kitchen Company's Christmas Open House. It will be a wonderful day to slow down and celebrate the season. We can help you plan the little details that will make this special time memorable for you and your guests. We hope to see you...And don't forget to bring a friend or two!